IGCAR Recruitment 2019: Indira Gandhi Centre for Atomic Research / www.igcar.ernet.in is conducting recruitment processes to fill 138 vacancies. As of now, there are two recruitment drives going on for Apply Online for 130 Trade Apprentices Posts and Research Associates Posts. 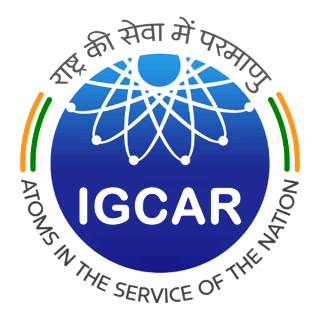 IGCAR Recruitment 2019 - Apply Online for 130 Trade Apprentices Posts in Department of Atomic Energy, IGCAR, Kalpakkam, Tamil Nadu. Online Applications are invited by Indira Gandhi Centre for Atomic Research from 10 Apr 2019 10:00 AM to 24 Apr 2019 05:00 PM for 130 vacancies. IGCAR Recruitment 2019 - Job notification for Research Associates Posts in Department of Atomic Energy, IGCAR, Kalpakkam, Tamil Nadu. Applications are invited by Indira Gandhi Centre for Atomic Research on or before 30 Apr 2019 for 8 vacancies. IGCAR Recruitment 2019 - Walk in for MO Posts in IGCAR, Kalpakkam, Tamil Nadu on Temporary Basis. Candidates are invited by Indira Gandhi Centre for Atomic Research to attend walk-in-interview to be held on 03 Apr 2019 for 6 vacancies. IGCAR Recruitment 2019 - Walk in for Scientific Asst & Technician Posts in IGCAR, Kalpakkam, Tamil Nadu on Temporary Basis. Candidates are invited by Indira Gandhi Centre for Atomic Research to attend walk-in-interview to be held on 18 & 23 Jan 2019 for 3 vacancies. IGCAR Recruitment 2018 - Apply Online for 248 Technical Officer, Scientific Assistant & Other Posts in IGCAR, Kalpakkam, Tamil Nadu. Online Applications are invited by Indira Gandhi Centre for Atomic Research from 18 May 2018 10:00 AM to 17 Jun 2018 05:00 PM for 248 vacancies. IGCAR Recruitment 2018 - Apply Online for Junior Research Fellowship Posts in IGCAR, Maharashtra. Online Applications are invited by Indira Gandhi Centre for Atomic Research from 11 Apr 2018 at 10:00 AM to 30 Apr 2018 till 05:00 PM and Written Examination to be held on 27 May 2018 and Interview to be held from 18 Jun 2018 to 22 Jun 2018. IGCAR Recruitment 2018 - Apply Online for 300 ITI Trade Apprentice Posts in IGCAR, Kanchipuram, Tamil Nadu. Online applications are invited by Indira Gandhi Centre for Atomic Research from 01 Mar 2018 at 10:00 AM to 15 Mar 2018 at 03:00 PM. Walk-in-interview to be held on 13, 14 & 15 Mar 2018 at 09:00 AM for 300 vacancies. IGCAR Recruitment 2018 - Walk in Interview for Medical Officer Posts in Tamil Nadu on Temporary Basis. Candidates are invited by Indira Gandhi Centre for Atomic Research on 19 Jan 2018 at 9:30 AM for 2 vacancies. IGCAR Recruitment 2018 - Walk in for Nurse/A Posts in DAE Hopital Kalpakkam/ Anupuram Dispensary in Tamil Nadu on Temporary Basis. Candidates are invited by Indira Gandhi Centre for Atomic Research on 11 Jan 2018 (09:00 AM) for interview for 2 vacancies. IGCAR Recruitment 2018 - Walk in Interview for Nurse/A Posts in DAE Hopital Kalpakkam/ Anupuram Dispensary in Tamil Nadu on Temporary Basis. Applications are invited by Indira Gandhi Centre for Atomic Research on 11 Jan 2018 at 11 AM for 2 vacancies.